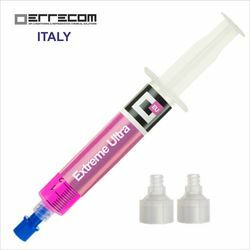 EXTREME ULTRA High Performance Leak Stop For Air Conditioning & Refrigeration Systems. As Well As For Vehicles A/C System! * It repairs refrigerant gas micro leaks (0.03mm) that can occur in rubber or metal parts of the system. * Compatible with all refrigerant gases – R1234yf, R410a and R32 included. * Compatible with all type of lubricants (PAG-PAO-POE-ALKYLBENZENE-MINERAL). * It contains UV leak detector dye. * EXCELLENT for Preventive Usage. EXTREME ULTRA High Performance Leak Stop For Air Conditioning & Refrigeration Systems. As Well As For Vehicles A/C System! * It repairs refrigerant gas micro leaks (0.03mm) that can occur in rubber or metal parts of the system. * Compatible with all refrigerant gases – R1234yf, R410a and R32 included. * Compatible with all type of lubricants (PAG-PAO-POE-ALKYLBENZENE-MINERAL). * It contains UV leak detector dye. * EXCELLENT for Preventive Usage.